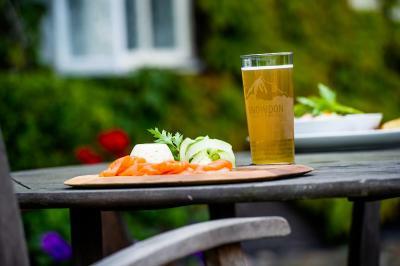 Lock in a great price for The Groes Inn – rated 8.9 by recent guests! Old and full of history and character yet beautifully refurbished and in a stunning location high above the Conwy valley. 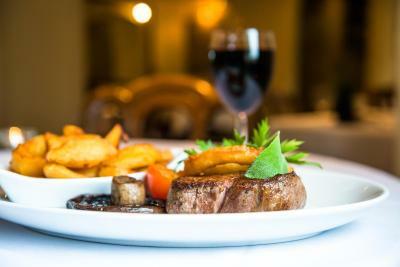 Superb food and excellent, friendly service from the staff. Large, lovely rooms. Rooms in back look out over a farmers field where you can watch the sheep and cows (we watched as they were herded to a different field)--fun for kids or kids at heart! Good restaurant. Amazing 'sun room' where some guests are seated for breakfast and dinner with a large grape vine growing across the ceiling. Very cool atmosphere. 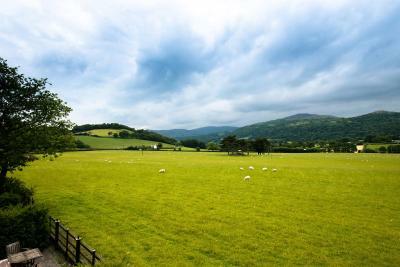 Beautiful country setting, buy very close to Conwy. The Inn was beautiful and historic. The owner was helpful and attentive. The hotel is 3 miles outside of Cnwy. This is both a plus and a minus. We had to take a taxi to get the property. On the plus side, the setting is idyllic and relaxing. The Inn is surrounded by pastures and bleating sheep, which was a nice respite from the tourism of Cnwy. The dining was also exceptional. Great location, beautiful setting. Clean, rooms were large scenery is beautiful. The property is under new ownership, and the onsite management is trying very hard to be helpful to guests. 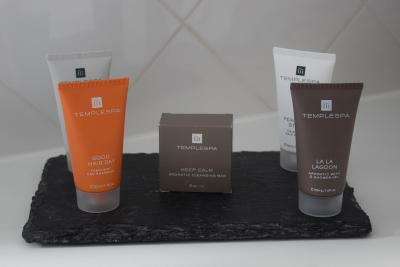 Our room was spacious, and we appreciated the special line of toiletries they provided. The Groes Inn This rating is a reflection of how the property compares to the industry standard when it comes to price, facilities and services available. It's based on a self-evaluation by the property. Use this rating to help choose your stay! 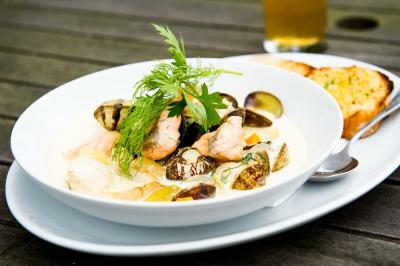 One of our top picks in Conwy.In the beautiful North Wales countryside, this award-winning, traditional British inn blends the warm welcome of a local pub with delicious food, excellent service and a comfortable bed. 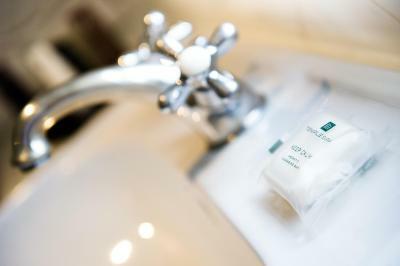 Welcoming visitors for over 400 years, The Groes Inn has luxury bedrooms and an award-winning restaurant. 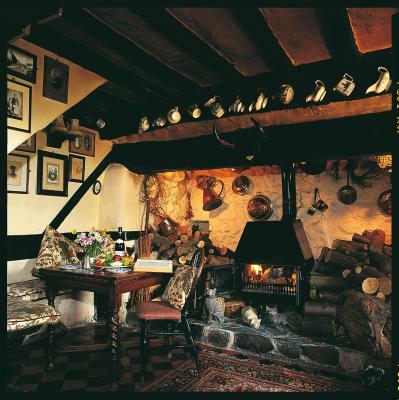 The Groes Inn was named 'Inn of the Year' by The Good Pub Guide in 2012. With free parking, The Groes Inn is just outside the Snowdonia National Park, within easy reach of Conwy Castle and Tal-y-Cafn Rail Station. 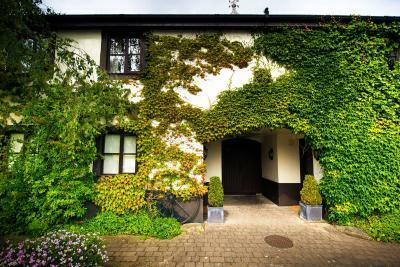 When would you like to stay at The Groes Inn? Individually styled rooms which feature a blend of traditional and contemporary styles. They are equipped with an private bathroom. 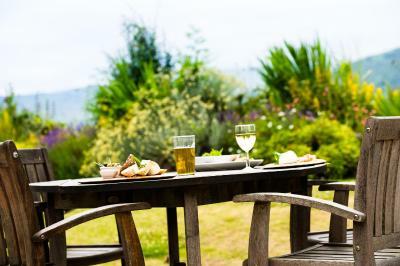 Located at the rear of the hotel overlooking the foothills of Snowdonia and featuring either a terrace or a balcony. This spacious elegant room offers either views of the foothills of Snowdonia or the Conwy Valley. A seating area and an private bathroom is also featured. 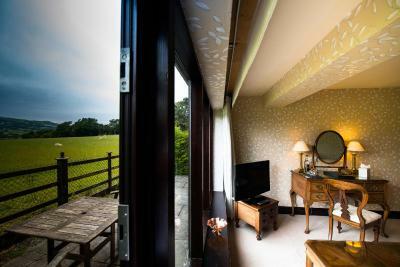 This spacious room is at the rear of the hotel and features picturesque views of the local countryside. 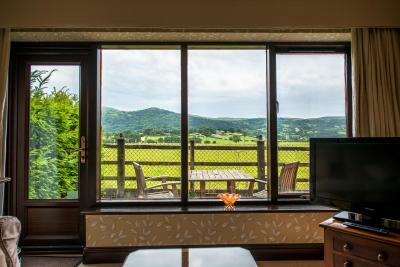 Individually styled room with views over the foothills of Snowdonia or the Conwy Valley. 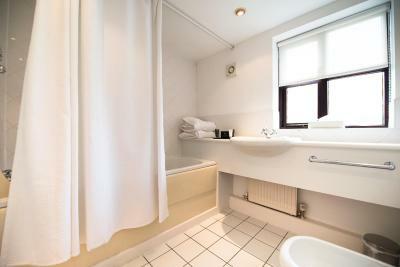 This room features an private bathroom and is on either the ground or the first floor. 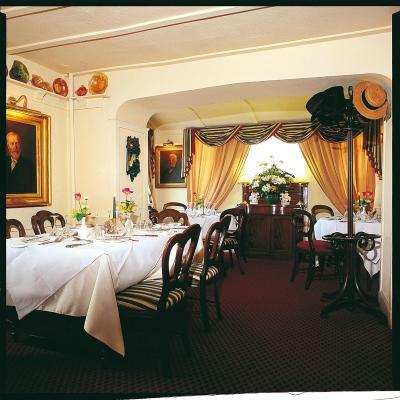 House Rules The Groes Inn takes special requests – add in the next step! Debit card The Groes Inn accepts these cards and reserves the right to temporarily hold an amount prior to arrival. 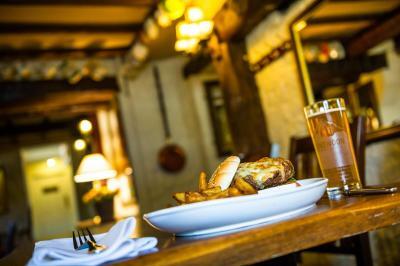 The Groes Inn accepts these cards and reserves the right to temporarily hold an amount prior to arrival. Smell of fresh paint in the bedroom, sorry but it was a bit overwhelming! No local walks direct from the hotel. Staff were very helpful. Rooms newly refurbished in traditional style but with a modern touch. Lots of charging points. Interesting and varied menu in the restaurant. Whole experience was fantastic. We stayed here with my husbands elderly parents. One has a problem with his sight, the other has mobility issues. The staff could not do enough to make them feel more welcome and went out of their way to make our stay really pleasant. Food fantastic as were our rooms. We will certainly return again. Breakfast was good, buffet or cooked were available. Room was good, double bed was large enough for three people. There was plenty of parking availibe. A guest’s dog starting barking in one of the rooms at 7am. It might make me avoid dog friendly hotels in future. 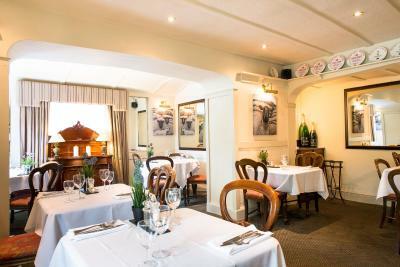 The room was very comfortable and the food very tasty and well cooked. Most of the staff were very cheerful and helpful. The shower was probably the best ever experienced! We had a room on the front of the hotel which turned out to be a little noisy at times. On past stays we have been at the back and ,although, no view of the estuary ( just wonderful, rolling countryside!) wonderfully peaceful. Beautiful location,both for scenery and accessibility to so many attractions, beaches and beautifull walks. Staff super friendly and helpful. Room cosy. 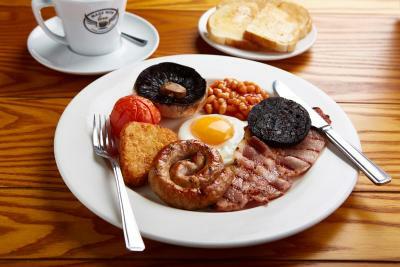 Excellent breakfast and the food in restaurant very good and reasonably priced. Could do with a vegetarian cooked breakfast option but was able to eat the cereal and fruit provided. We had an excellent welcome and although we arrived slightly later than planned were able to get booked into the restaurant where we experienced some great food. Room was really large and bathroom was well equipped with shower and bath which is becoming rare nowadays. A kettle, supplies, yummy biscuits and fresh bottled water was supplied and updated daily. Found the location perfect for visiting Conwy, Portmeirion, Llandudno and Caernarfon. Slight inconsistency between vegetables served with main meals each night - more in number and type one evening than served the following evening - but this is just being picky really! The staff were very friendly and extremely helpful. Good range of food on the evening menu and very tasty. Loved the comfy lounge area for sitting for a quiet drink. Bed was very comfortable and extremely spacious.